~ ~ ~ EPC Updates ~ ~ ~: Bird Flu - It's Time to Think Geospatially! 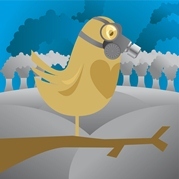 Bird Flu - It's Time to Think Geospatially! As noted on this blog on December 21, 2011, it was recently announced that researchers in the U.S. and Europe have been able to modify the H5N1 bird flu virus in a way that creates an easily transmittable form of the pathogen - a point of great concern given the 60% fatality rate associated with this strain of flu. On December 30, 2011, the World Health Organization (WHO) joined the U.S. National Science Advisory Board for Biosecurity in urging the teams not to publish details of their efforts out of fears terrorists could use the information to create a world-wide pandemic of epic proportions. Daily monitoring and/or detailed information on this subject is also available through the University of Minnesota's world renowned Center for Infectious Disease Reporting and Prevention (CIDRAP). Bird flu resources can be accessed through the MCEIRS Avian Influenza Training link in the breakout box, top of the right main column. Comment: Unfortunately, much like formal public health efforts inside the United States, WHO's perspective on the Geospatial Revolution is one focused on mapping statistics, not on using geospatial technologies for real-time situational awareness. For an example, go here. Given this virus, and others to come in the future, are potentially both significant natural and man-made threats, it's imperative that efforts like Florida's Community Health Assessment Resource Tools Set (CHARTS) Interactive Community Map and Houston's St. Luke Episcopal Health Charities Project Safety Net, are seen as the minimum starting point in moving the world-wide public health and medical communities toward real-time sensing and visualization of pandemic and other health related data. In that regard, one of the most progressive understandings of what is possible was recently offered in the International Journal of Health Geographics: "Crowdsourcing, Citizen Sensing and Sensor Web Technologies for Public and Environmental Health Surveillance and Crisis Management: Trends, OGC Standards and Application Examples".